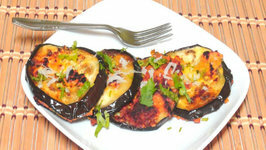 These roasted baby eggplants with spicy stuffing are yummy just as itself but can be served with steamed rice or Roti. 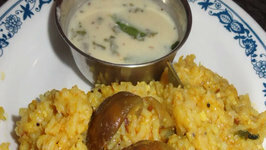 If not rice, serve with Soft cooked quinoa in coconut milk. 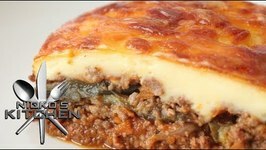 Today learn how to make Moussaka at home. 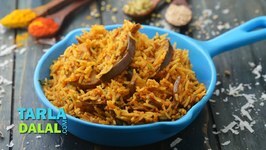 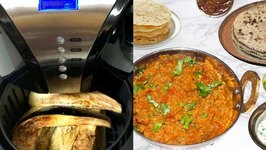 Baingan Bharta is so easy to make and has a delicious smoky flavor from the roasted eggplant. 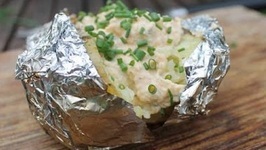 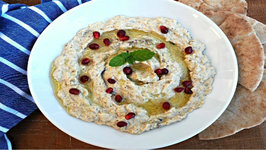 This recipe can be used as roasted eggplant dip as well. 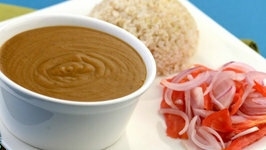 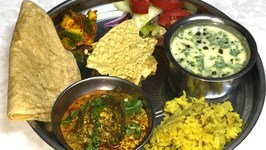 Many people enjoy exotic international foods only when they are in the mood for it. 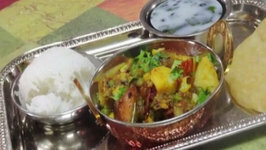 However, traditional and homely foods are always enjoyable for all of us, as they ..
Just fill the baingan with all the love masala to roll them in your mouth! 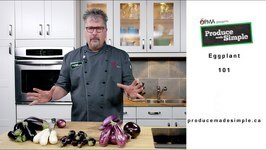 Did you know that eggplant is actually a fruit, but is consumed like a vegetable? 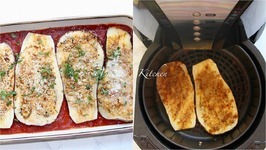 Eggplant is found in many cuisines, its subtle flavour and meaty texture makes it ..
Eggplant Parmigiana is a simple to prepare weeknight dish that the whole family will love. 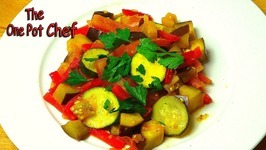 Eggplant slices are given a cheesy crumb coating, then shallow fried and topped ..
Ratatouille is a quick vegetable stew that can be served as a side dish or a main meal. 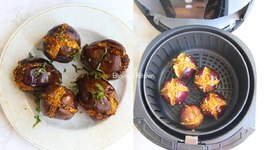 Garlic, capsicum, eggplant, zucchini and tomatoes are combined to create this ..
Cavemanstyle Potatoes - A great recipe for Grill and Smoker. 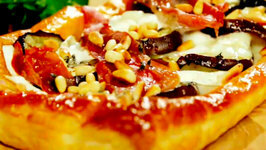 Try out this summery aubergine and goats cheese tart, a delicious veggie treat perfect for a picnic or a light evening meal in the sun. 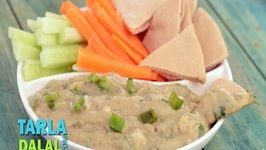 Eggplant Dip, healthier and low-fat version of famous Lebanese dip - Baba Ganoush! 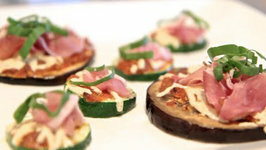 These yummy crispy eggplant slices can be used for sandwich, salad and much more or just serve as a side. 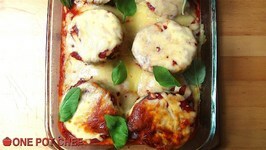 Today, I'm going to show you one of my favorite Italian classics and that's Eggplant Parmesan. 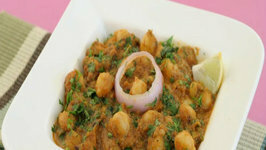 Spinach and chick peas based dish with a different gravy! 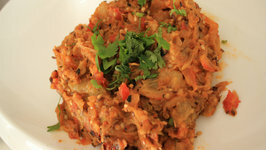 A traditional Parsi dish usually prepared on Sundays for a family meal. 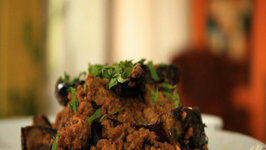 As the name says, dhan-saak is an interesting combination of dals (dhan) and vegetables (saak) ..
An exotic Indian eggplant curry cooked in tangy aromatic gravy. 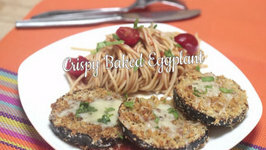 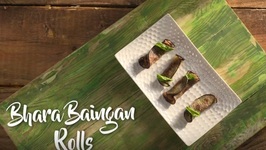 Simple and delicious dish filled with smoky flavor of roasted eggplant.